Considering how tempting it is to check your text messages or browse some fire new Spotify playlists while you're driving, it doesn't take much to lose focus behind the wheel these days. Still, even if you always keep your eyes on the road, there's no telling when a hazard will pop up. Hopefully, though, you'll react better than a driver in upstate New York, who recently full-on panicked after seeing a spider... and crashed their car into a wall. While driving on Silver Spur Road in Cairo, New York on April 10, a driver ended up crashing into a rock wall after freaking out over a spider she noticed crawling around inside. It's unclear how big the spider was, what it looked like, or where it was crawling, but that doesn't really matter when you're an arachnophobe. Any eight-legged specimen that makes a surprise visit in close quarters is enough to set off pure terror in plenty of people. 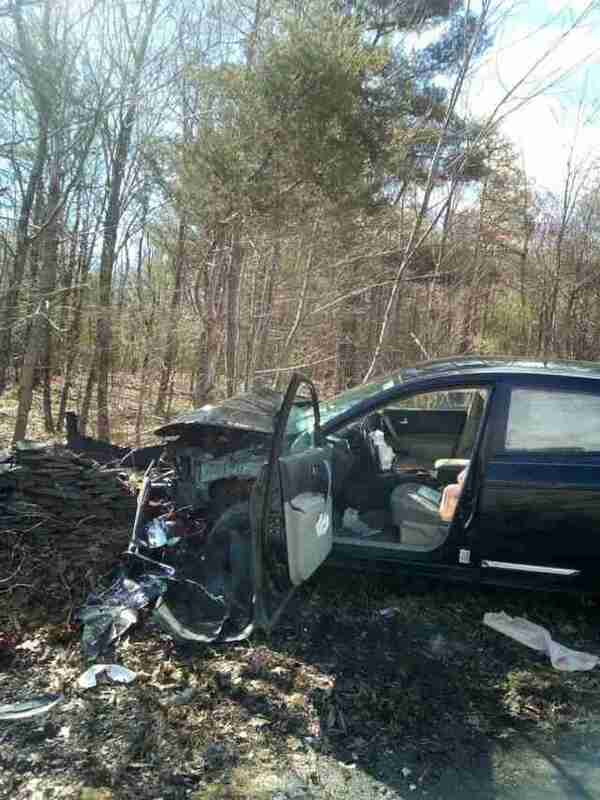 Fortunately, the woman wasn't seriously hurt, though she did sustain a leg injury. 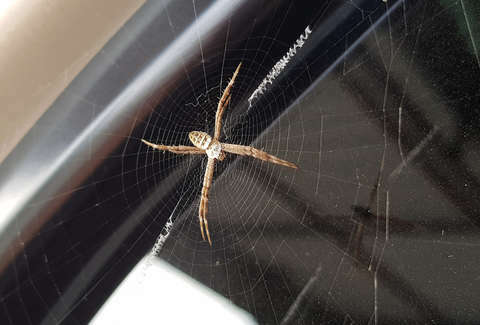 A whole crew of emergency personnel responded to the scene, and once officers realized a spider was to blame for it all, they issued what can only be described a spider alert for fellow drivers on Facebook. "After investigating today's crash on Silver Spur Road we feel it necessary to bring up a contributing factor that is not covered too often," reads the message on the post. "It is believed that the operator of the vehicle noticed a SPIDER in the drivers area with her as she was driving. The operator panicked and crashed suffering a leg injury from the crash. We know that it is easier for some drivers than others but PLEASE, try to teach new drivers and yourselves to overcome the fear and pull over to a safe place. Lives depend on it." Obviously, pulling over to a safe place is the ideal reaction to such a scenario, but spiders are scary, man. Just take it from one of the commenters on the Facebook post, who insisted that "For safety measures [they] should probably burn the car too. Just to make sure it’s really dead." On the bright side, at least the woman wasn't driving around in Australia. Who knows what could have happened.